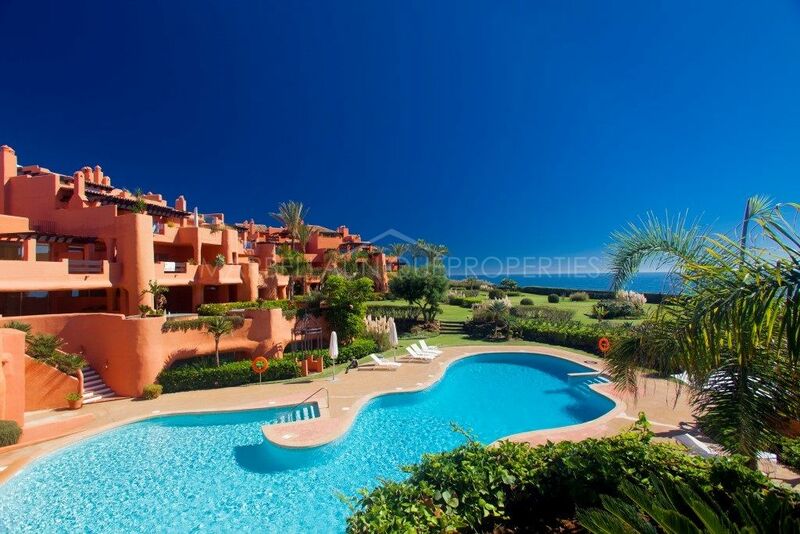 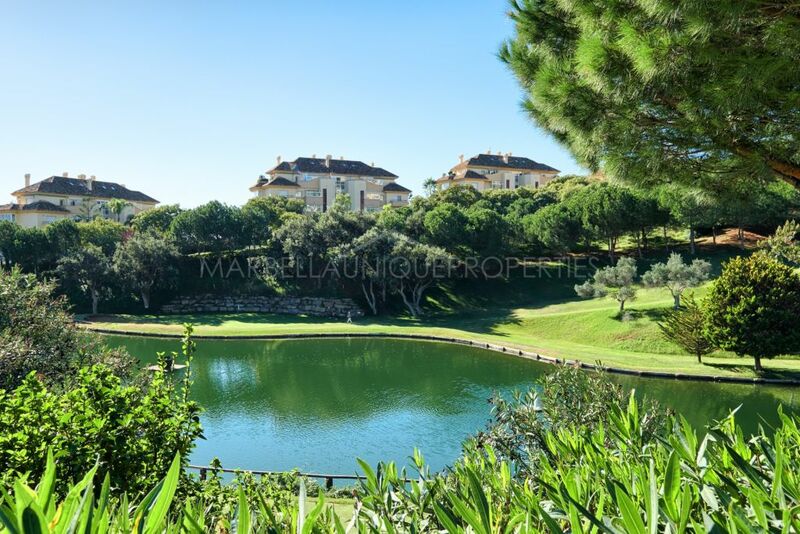 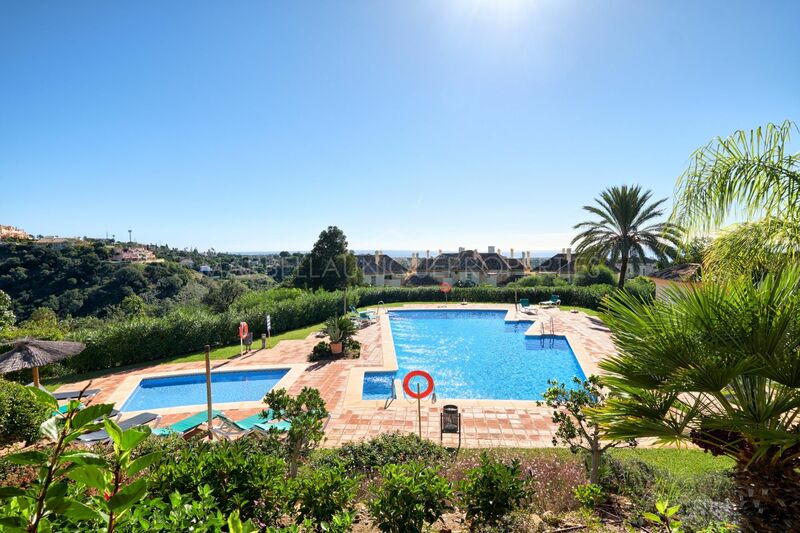 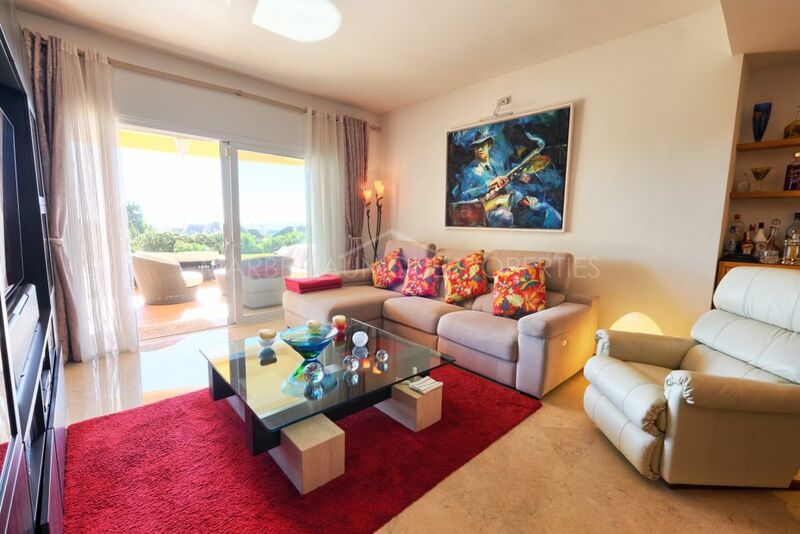 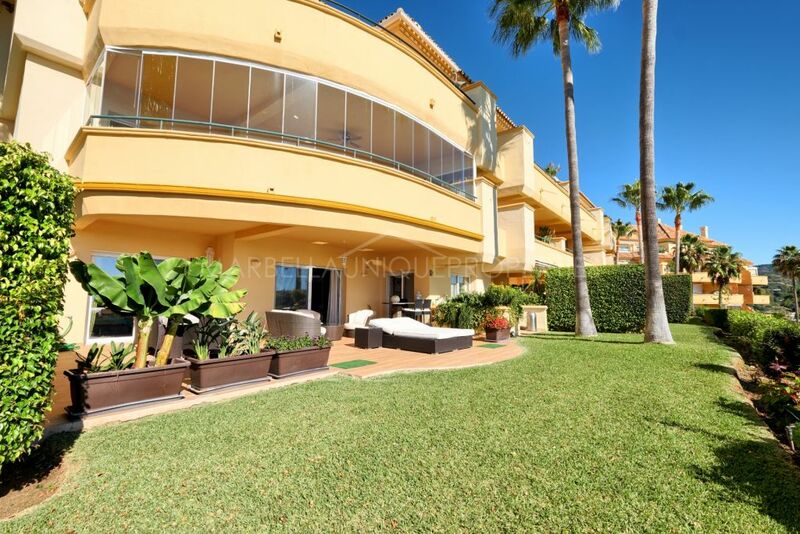 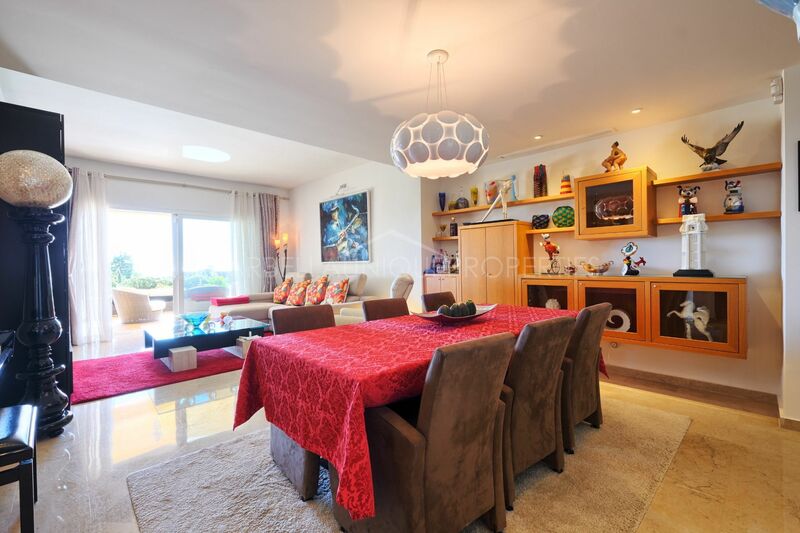 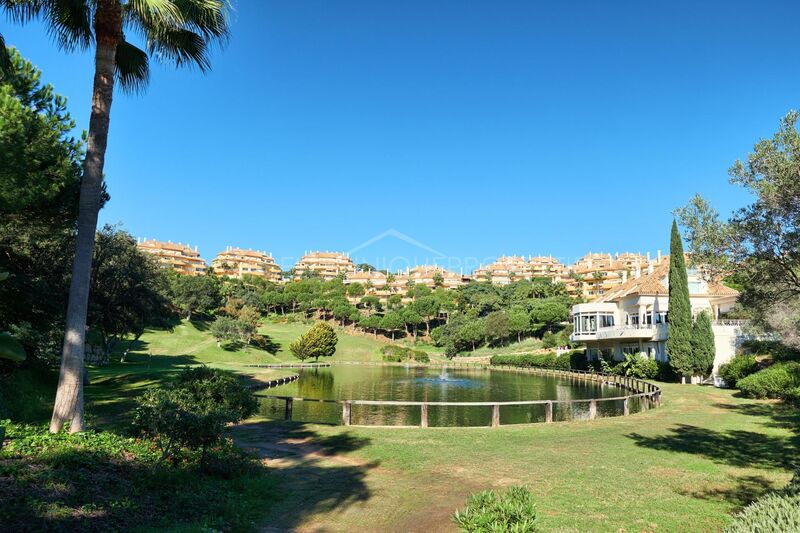 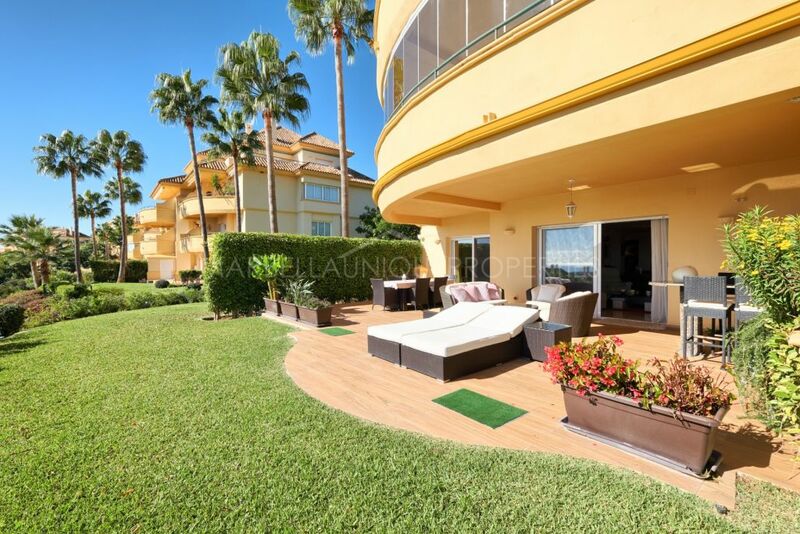 This 3 bedroom apartment with stunning panoramic views to the sea is located in the gated community of Elviria Hills in Marbella East. 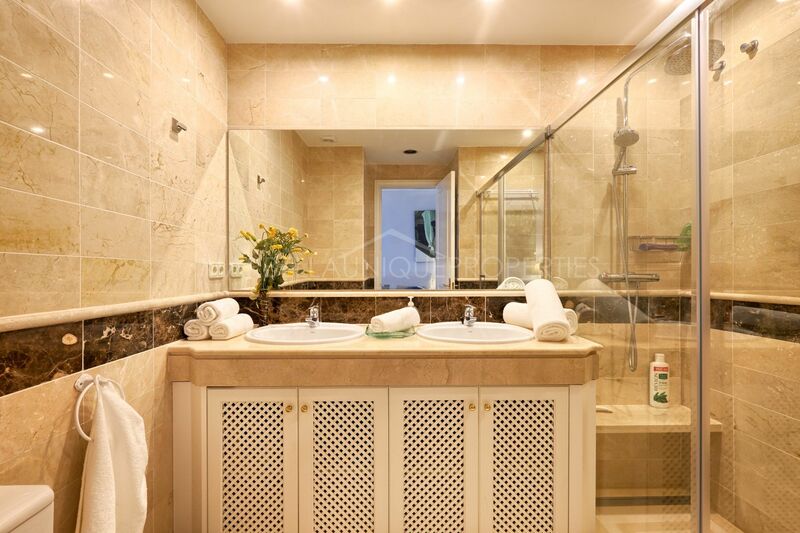 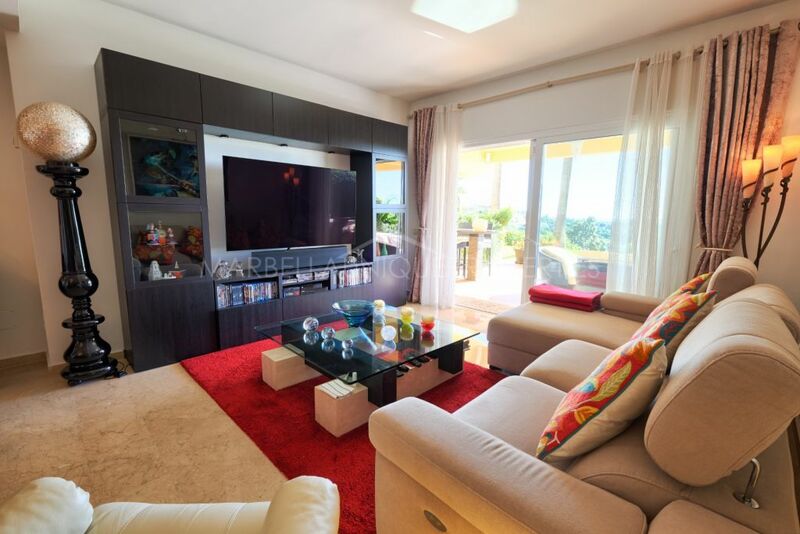 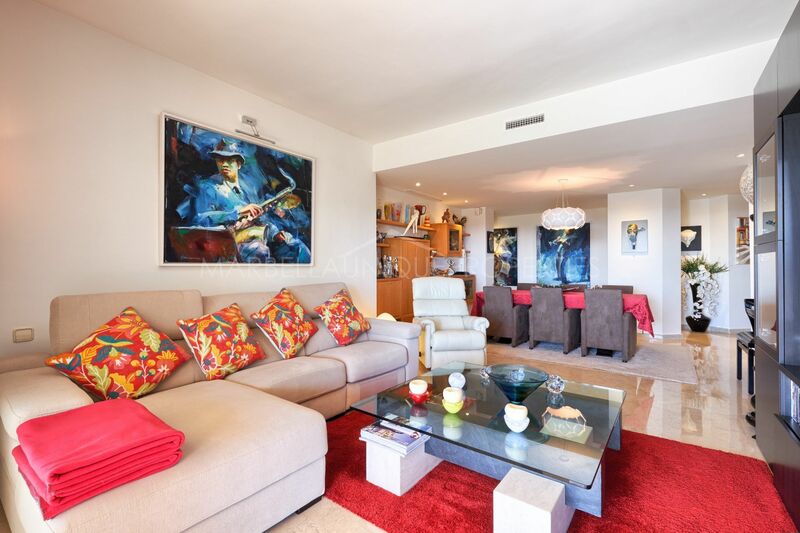 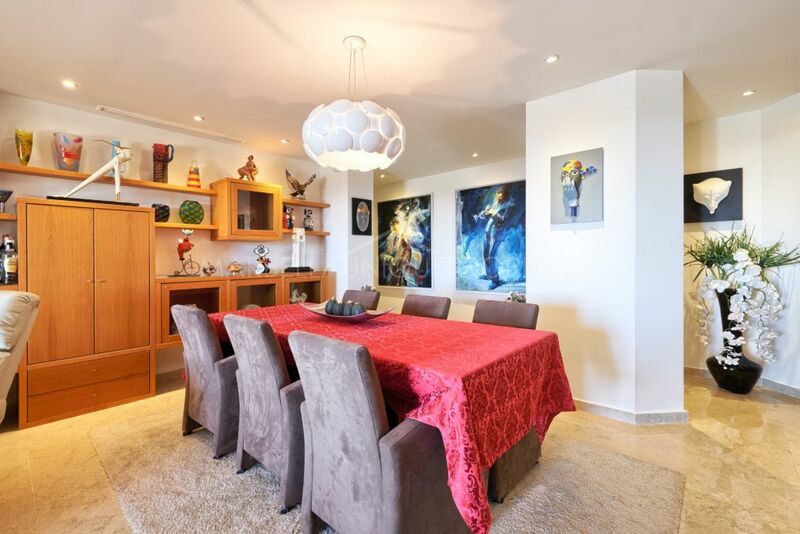 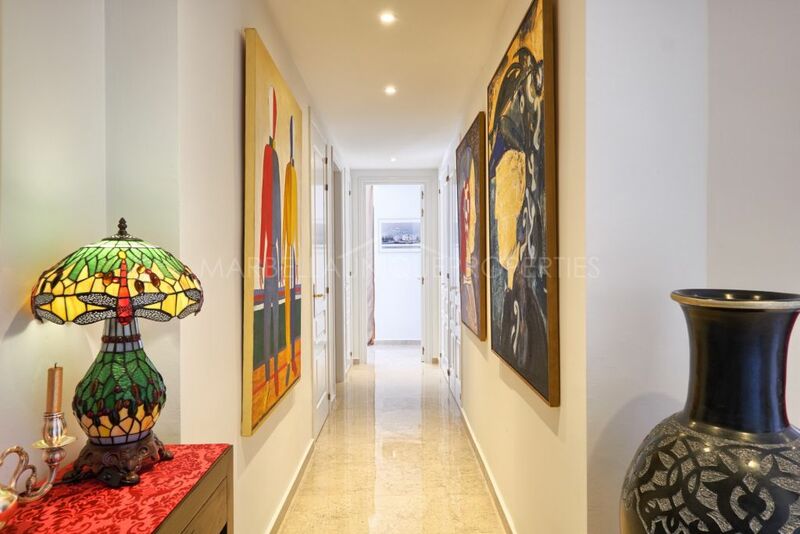 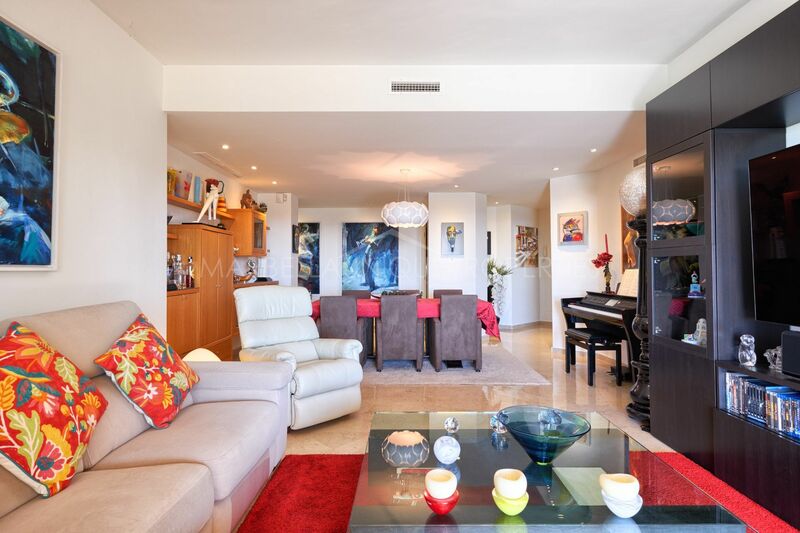 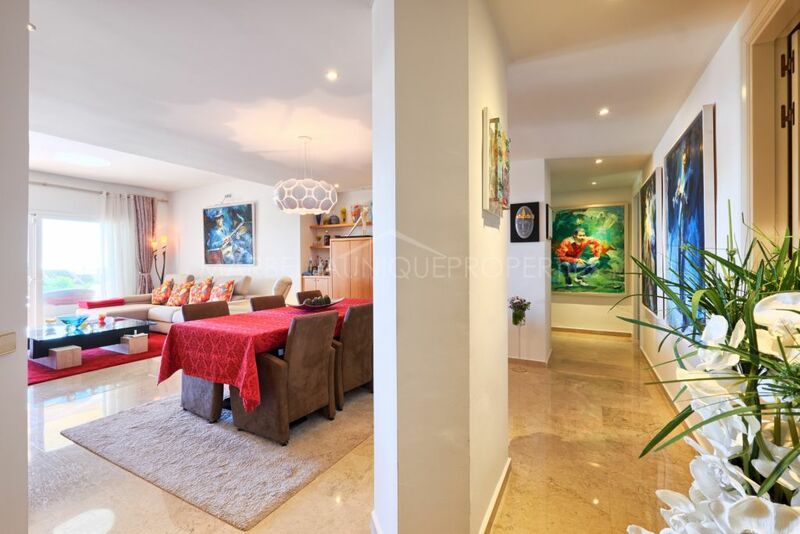 The spacious property comprises of 151m2 built with plenty of natural light. The entrance hall leading into a large living room with dinning and sitting areas as well as access to the terrace. 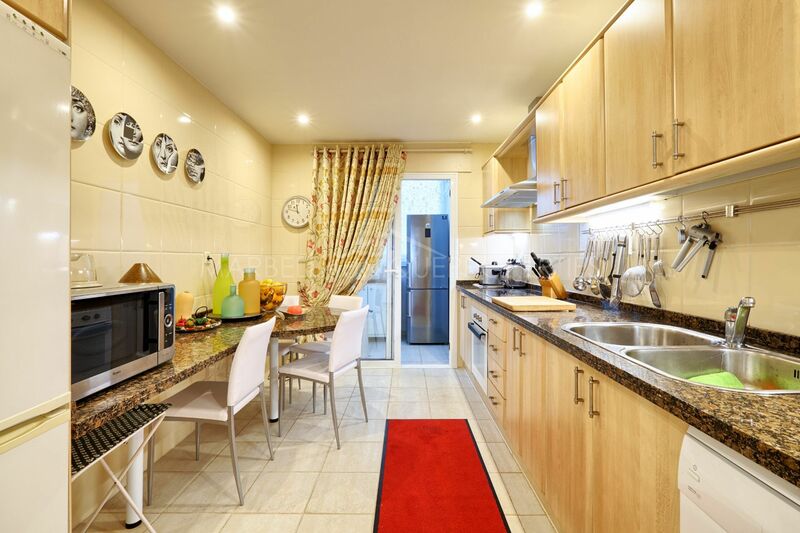 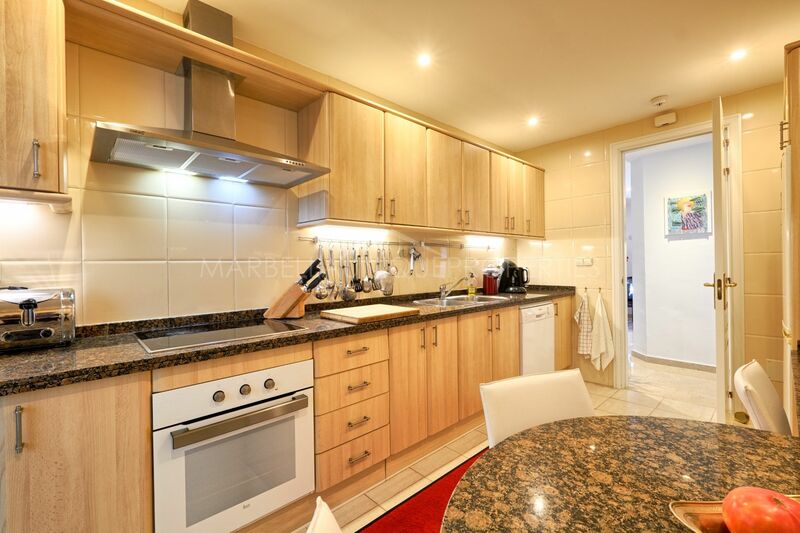 The apartment boasts fully fitted kitchen with breakfast area. 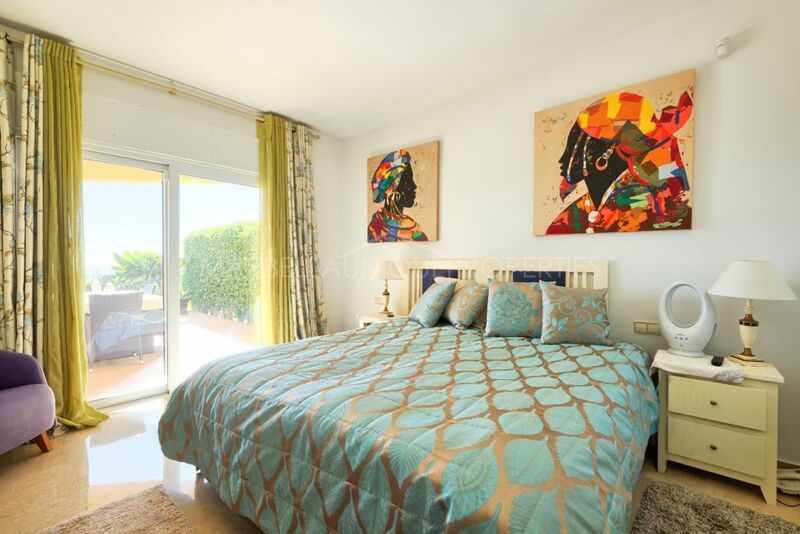 En-suite master bedroom and two guest bedrooms with 2 bathrooms. 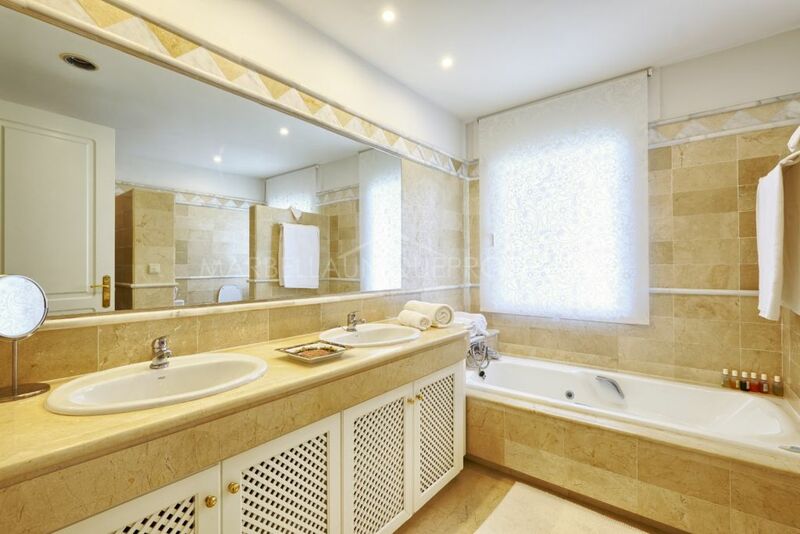 Under floor heating in the bathrooms and air conditioning hot and cold throughout. 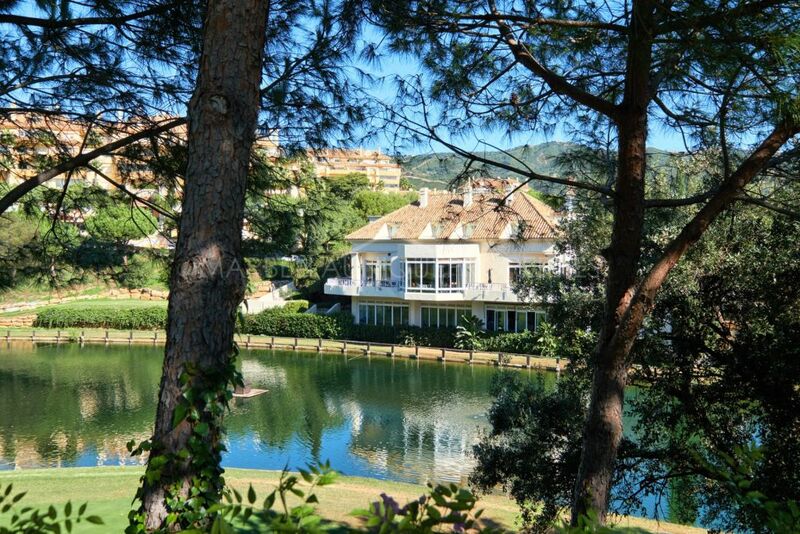 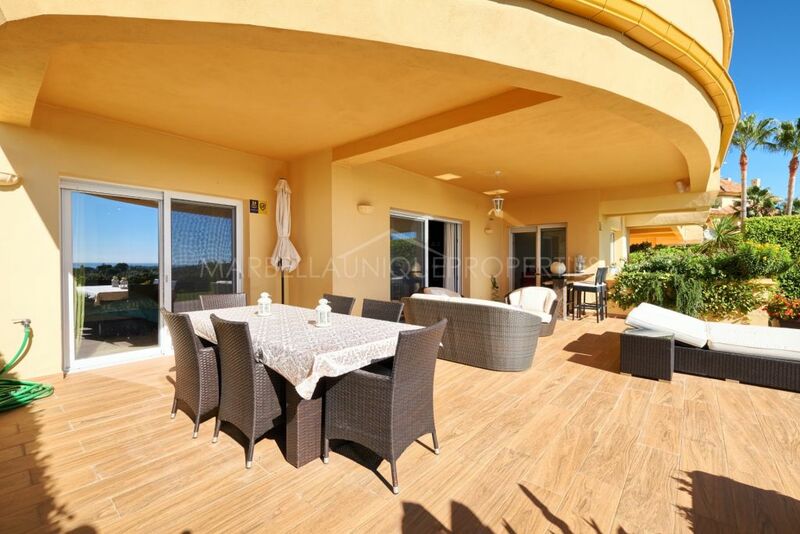 A large, 58m2 built terrace with dinning and sitting areas and splendid views to the garden and the sea. 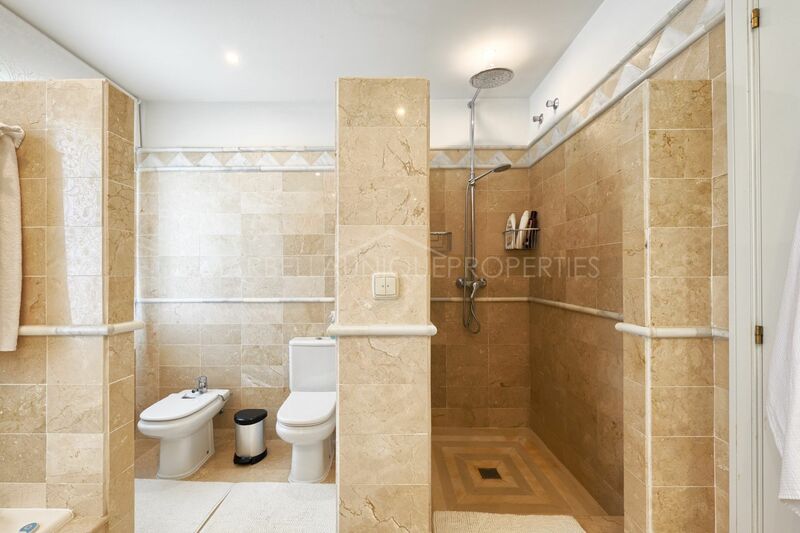 The property is to be sold including garage and storage space, without furniture. 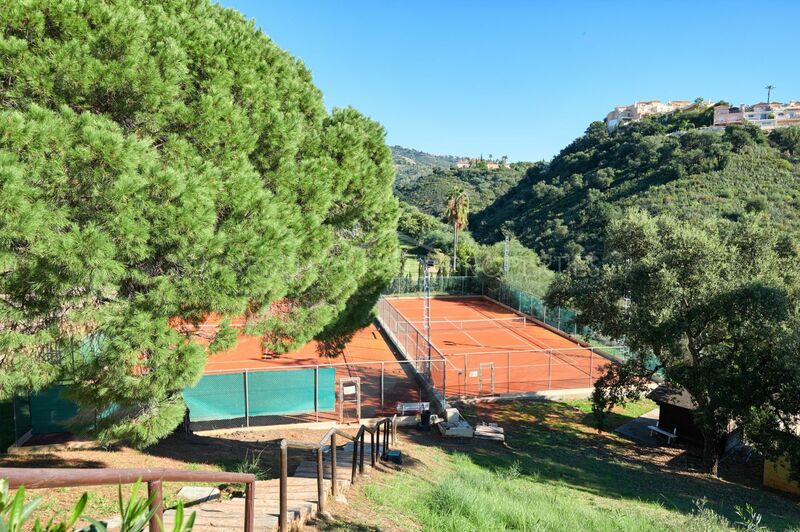 Set in a premium gated community with mature gardens and swimming pools, 9 hole golf course, tennis courts and a golf and tennis academy. 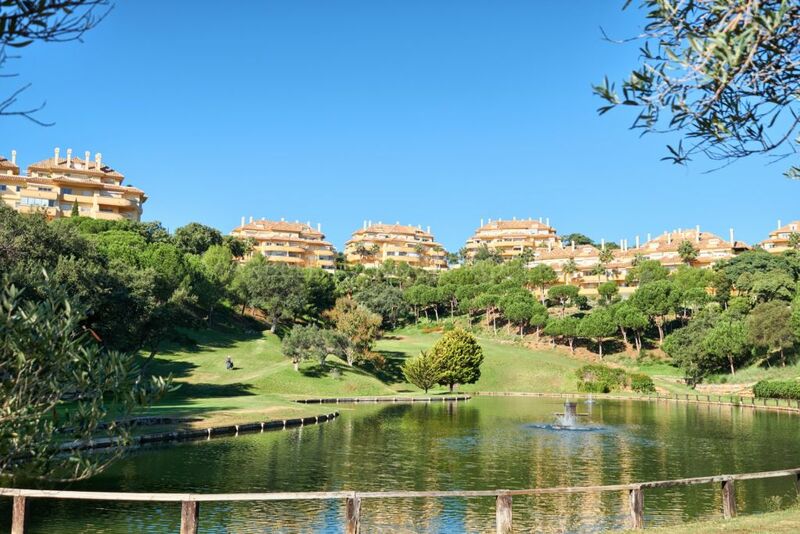 The Elviria hills boasts also gym, a custom-built sauna and the 1* Michelin Restaurant “El Lago”. 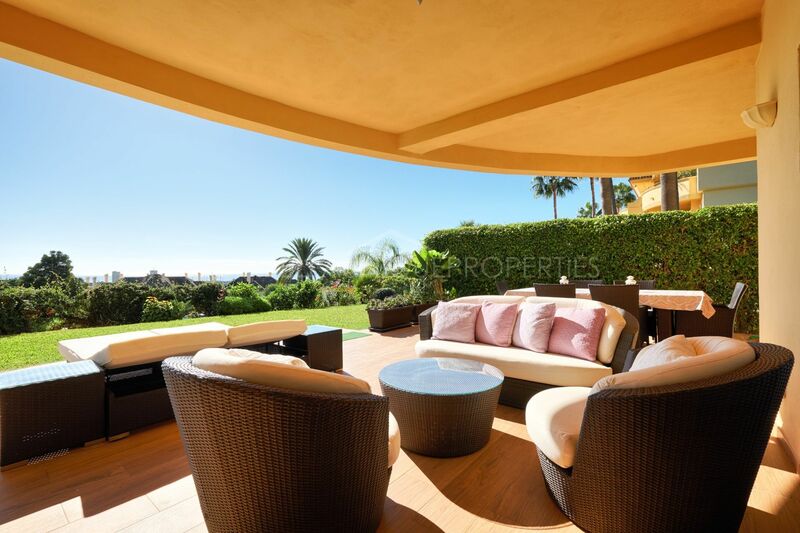 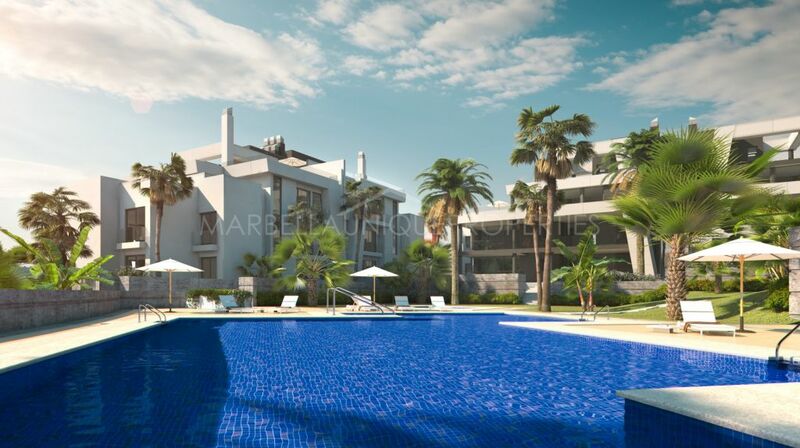 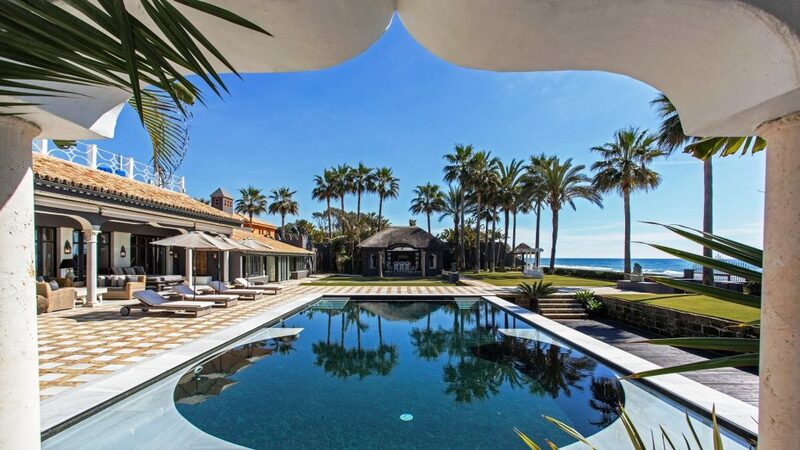 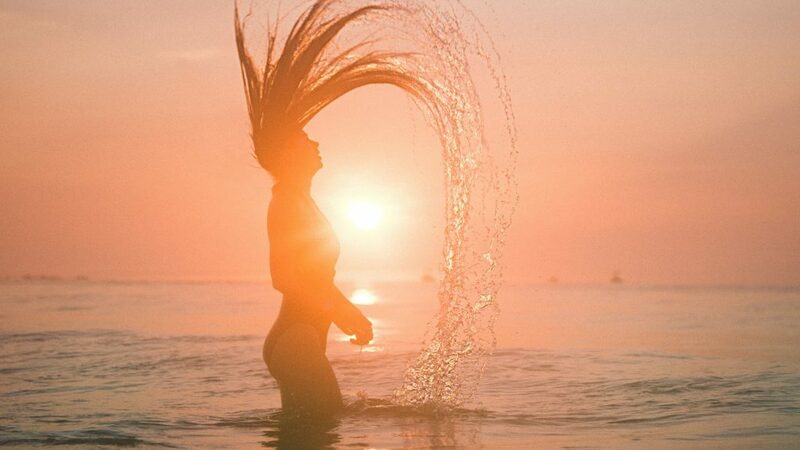 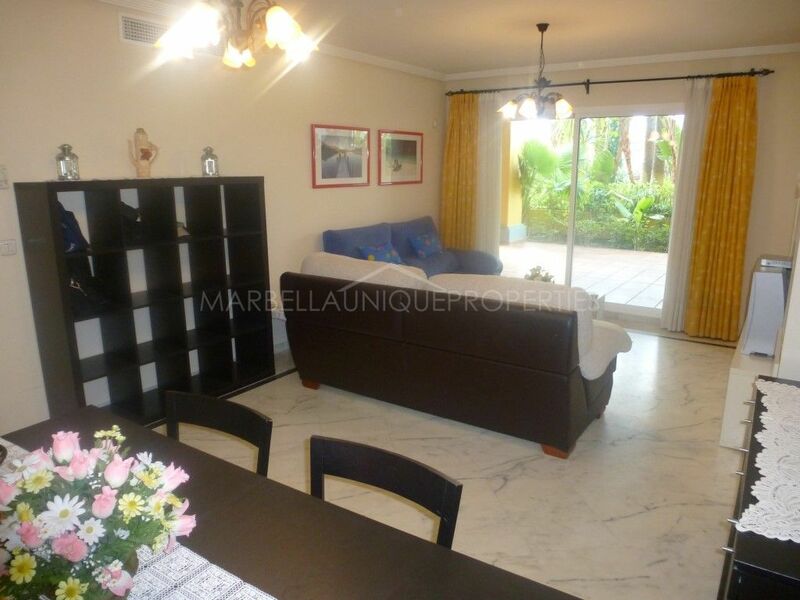 Located close to golf courses, international schools, Marbella beaches, beach clubs Nikki Beach and La Cabânne. 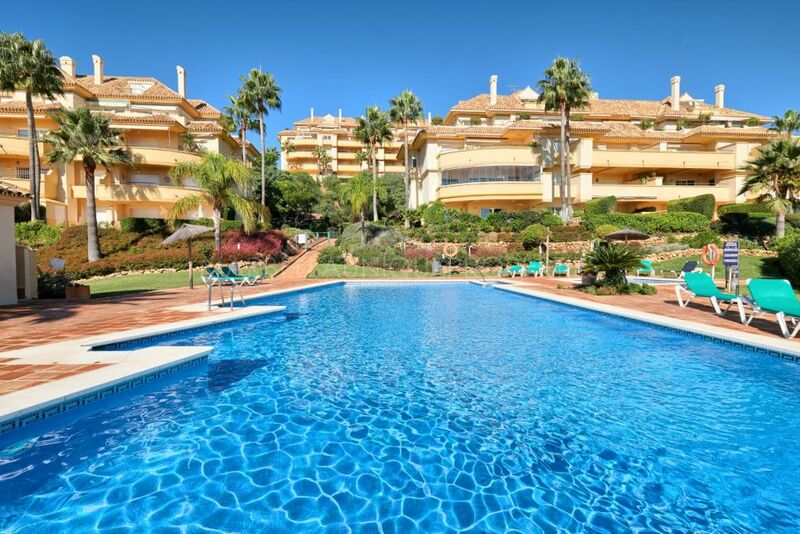 Only 10 minutes driving from Marbella centre. 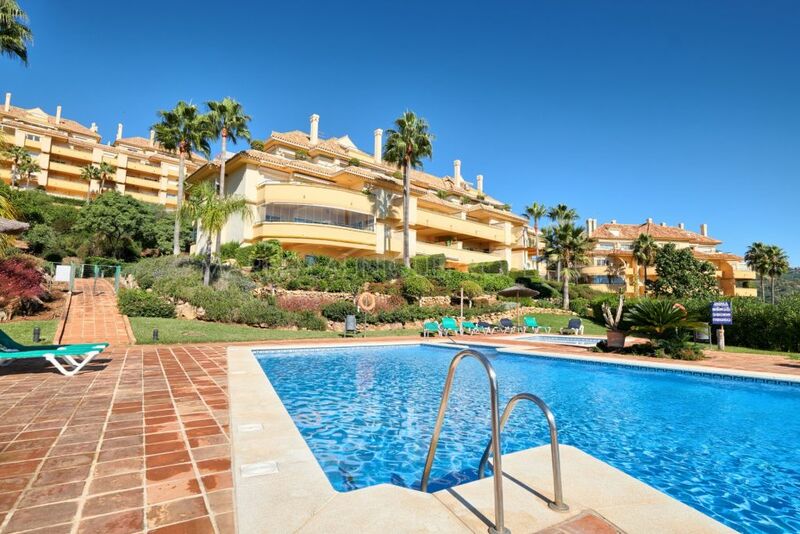 Please, send me more information about ref 239-01354P, Ground Floor Apartment in Elviria Hills, Marbella East or similar properties.